Teemu Arina has a professional career of over 15 years as a management advisor, technology entrepreneur, author and speaker. He is one of the forefront thinkers on the intersection of the human and the machine, social media, mobile & cloud services, the future of work and online learning. 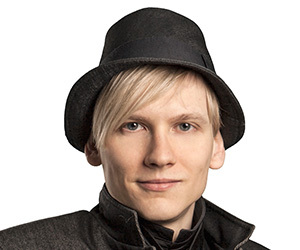 Mr. Arina is the founder and CEO of Meetin.gs, founder and CEO of Dicole, co-founder of the Quantified Self & Biohacking Finland movement and author of a number of articles and knowledge books including the forthcoming Biohackers Handbook. Mr. Arina is a regular visiting lecturer at a number of academic institutions globally and has presented internationally as an invited keynote speaker in countries such as USA, UK, Russia, the Netherlands, Germany and Italy.